There is another secret to the Mediterranean diet – longevity. 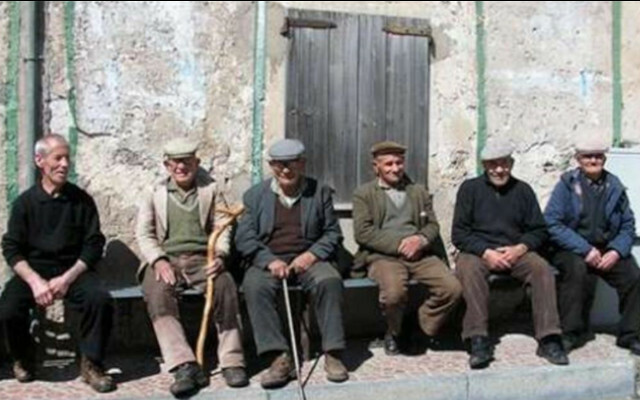 Analyzing the relationship between nutrition and a prolonged life is the “A kent’annos” (to 100 years) project that for a decade and a half has studied the phenomenon of Sardinia’s centenarians. The study highlights the Med-diet/longevity correlation. Traditional Sardinian foods, combined with the genetic patrimony and microclimate, make the Italian island a record-breaker, with 22 of every hundred thousand living over a century, two times the global median. Among the local jewels, exported throughout the world, the wines seem to possess a larger quantity of anti-oxidants. The same goes for fruit, with threefold the flavonoids and polyphenols of their large-scale distribution cousins. Cheeses also luster. According to research, they contain bacilli resistant to pH with elevated probiotic action. Completing the picture are other statistics. 93% of men drink twice as much wine as the national average, and with women, habitually eat dairy, pasta and vegetables, however all locally produced.